Jones Tevi Strommen International Real Estate have been succesfully matching families with their dream properties since 1985. 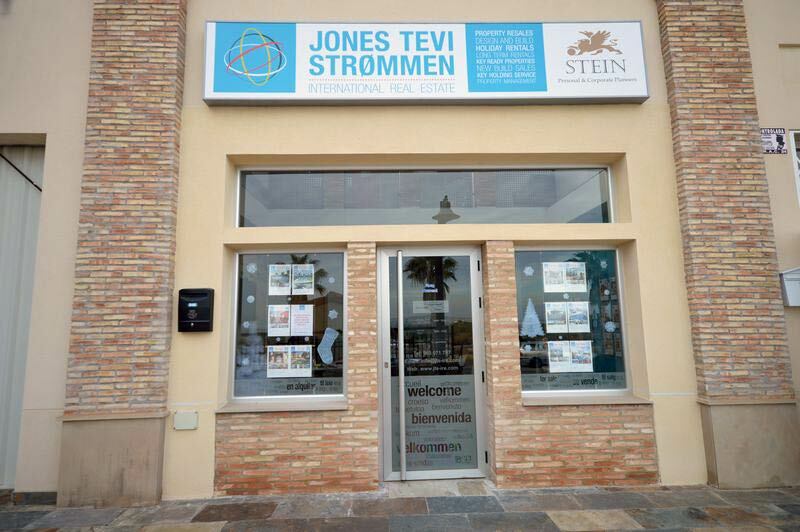 Jones Tevi Strommen International Real Estate is a long established company of professionals with wide experience and a proven track record within the spanish real estate sector. We are based at the world famous La Finca golf resort in the heart of the Costa Blanca's tourist area, surrounded by golf courses and beaches. Our focus is to listen to clients' requirements and arrange viewings and visits to suit their budgets and specifications. Our trips can be as short as a couple of hours or can be spread out over a week or two. We may view only a couple of properties over a morning, or take in several over a couple of days. We guarantee that our viewings and visits will be hassle free and relaxed. Clients will be shown what they have come to see - properties that perfectly match their requirements. We also guarantee no pressure, no late nights and no circuit tours in minibuses. On request clients will also be shown the attractions and facilities available in the region. The Costa Blanca has so much to offer from the natural beauty of its scenery to the vibrant towns offering a multitude of activities for the visitor and resident alike. Whether it is golf or shopping, swimming or sunbathing, eating and drinking, culture or beach clubs you'll definitely find what you are looking for on the Costa Blanca.